Hey all! It’s been a crazy two weeks with Thanksgiving and then getting back to school for my second-to-last week of finals. Bleh. Well, I still have half a week of classes and a week of exams, but I finished a French paper and an arts front for the school paper today, so I needed something fun to write. About a week ago, my dear friend Emily Miller (http://emilymiller91.wordpress.com/), (who turns 22 today!) tagged me for the Dragon Loyalty Award! But since I’ve just restarted this blog and most of the people I know who read my posts don’t have their own WordPress, I’m not going to tag anyone specifically. I know, I know. I’m a funsucker. But if you feel so inclined to repost this, feel free to tag me in it. 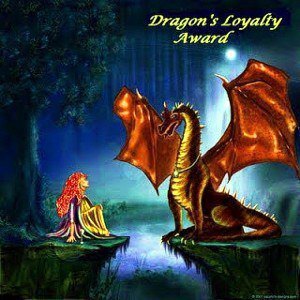 “The philosophy of the award is: The Dragon’s Loyalty Award is an award for the loyal fan/commenter, whether the recipient is a fellow blogger or just someone who follows and comments regularly”. 1. Firstly, display the Award on your site. You earned it and you deserve it! 2. I attended two different elementary schools and two different middle schools without ever leaving the house I grew up in. My town built two new schools in the span of five years, and I had to switch because of rezoning. 3. Give me an excuse to bake something and I will. 4. I have traveled to six countries thus far: Aruba, England, France, Italy, Austria and Canada. Poland and Ireland are next on my (very extensive) bucket list. 5. My favorite flavor combination is dark chocolate and raspberry. 6. I was a member of my school’s ballroom dance team for one year. 7. I will most likely become a professional cat lady at some point in my life. Happy Birthday, Emily! ❤ Love you so so much!